Last year, I stumbled across season one of a Canadian series called Da Vinci’s Inquest. After watching only a couple of episodes, I fell in love with it. 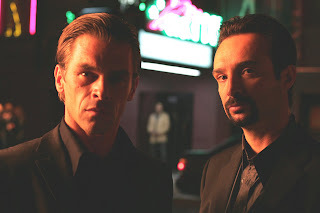 It featured realistic characters that did not always do the right thing. Now, DVI creator Chris Haddock brings us a show that may very well be the smartest crime drama since The Wire. 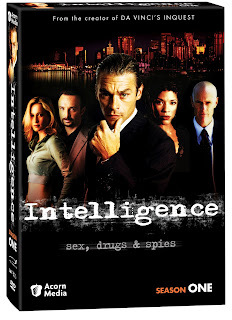 Intelligence mixes the worlds of organized crime with that of government intelligence and espionage, and does so while offering up dynamic, believable characters and rich, complex storylines. 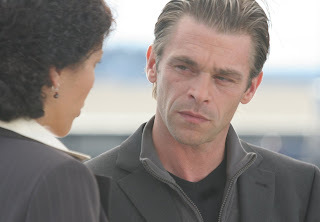 Jimmy Reardon (Ian Tracey of Da Vinci’s Inquest) is loving father, hard-working owner of several businesses and an organized crime boss in Vancouver. It is in his blood, as he is a third generation crime boss. Reardon wants out, but needs to keep control until he can go legit. He is facing many challenges, including a biker gang that is looking to muscle in on his criminal enterprises. Mary Spalding (Klea Scott), the head of Vancouver’s Organized Crime Unit, finds herself battling those within her own government almost as much as the criminals she has been ordered to take down. Spalding is looking for big results so she can continue to climb the ladder of success. Mary and Jimmy find themselves forming an alliance. He provides becomes her confidential informant and she goes after his rivals and turns a blind eye to his operations. They are allies, but hardly pals, as each benefits without really investing too much trust in the other. Intelligence does a wonderful job of avoiding the simplistic tags of good and bad. Neither Mary nor Jimmy are angels, yet both feel they are clearly doing what they feel is the right thing. Jimmy is drug supplier and is involved in a number of illegal activities, but is a reasonable, levelheaded guy that clearly cherishes those around him. Mary believes in what she is doing, but also has no problems making deals and cutting corners to continue to better her career. Intelligence is loaded with strong performances by great actors. I hate to compare it to The Wire, but like that show, it assumes the viewer has at least some IQ points. Both shows also have no problems showing the bad with the good, and each offers criticisms of the institutions around them. 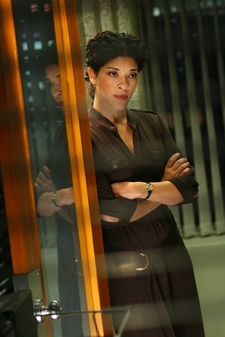 While not as universal strong as The Wire, Intelligence is a very good show that assumes it’s viewers actually have so.